Here's what my past week looked like! I am trying to get out on walks during my lunch break this spring and took this shot while walking back from shopping for clothes. No luck in the clothes department and then I almost got hit by a police officer while walking across the street. It was not a great day for me. I have had 4-5 incidents of cars almost hitting me in the crosswalk (when it is my right of way with the light and everything) and this was the second closest incident I had to getting hit. Scary! I finished "Salt, Sugar, Fat: How the Food Giants Hooked Us" by Michael Moss. I definitely have a new perspective on certain foods and food companies. My favorite quote was this last sentence of the book. A former colleague who is German and now lives back in Germany visited this week and brought lots of goodies, like kinder chocolate (which I'll have plenty of soon enough)! She also brought her adorable 1 and a half year old daughter, who I was speaking German to and having so much fun talking about "frosch" or frogs in German with her. 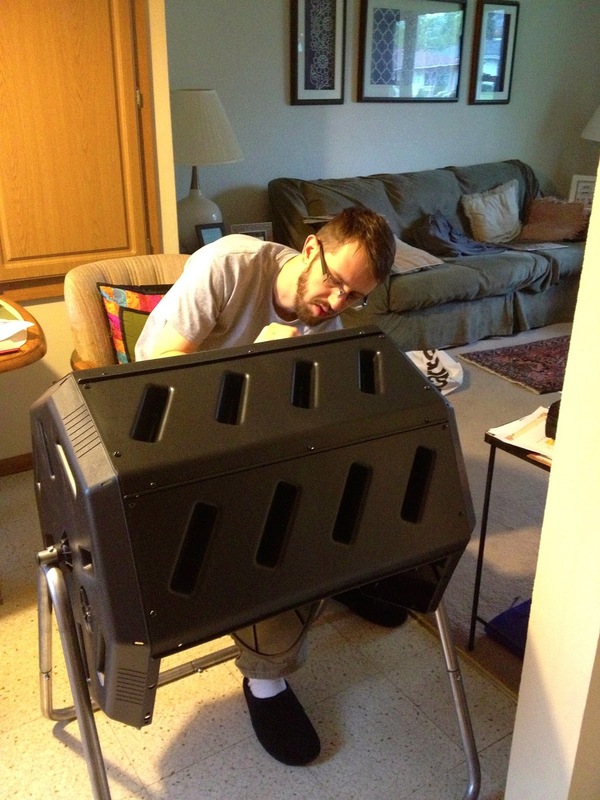 Craig researched and bought a composter off of Amazon. It took a lot of work on his part to put together. I've already contributed the skin of a sweet potato and lots of coffee grounds (and the paper filter) to it. I'll do another post on the brand and features when I am back from Europe. Sorry to talk about this a billion times on the blog, but I am kind of excited to leave for Europe with my mom in four days! Packing is under way and I feel pretty set. This was the mess of papers in our living room while I got things organized. I spent Mother's day with my mom--checking over her suitcase, making her try on jeans she owns until we found a pair that looked good on her, then we hit the gym together and had lunch after. I'm not sure if I will have time to blog until I am back from Europe. Hopefully I can get a few photos on here from the blogger app. Auf Wiedersehen! When I heard that Jillian Michaels was coming to town on her "Maximize Your Life" tour, I was so excited. I have always admired her tough and straightforward attitude towards fitness and nutrition. About a month ago, I found out my friend Kim's co-worker got tickets for us for free, I was shocked and so happy! Our seats were awesome (we were 11 rows away from the stage). Jillian spoke for almost three hours straight (there was a short intermission). She never seemed to grow tired and always engaged the audience throughout her talk. She spoke to us about nutrition, fitness, and realizing your potential in life and going for it. Setting goals is one way to achieve what you want in life. Here is Kim at intermission. Kim is a group exercise instructor, so a lot of what Jillian spoke about was familiar to her, as it was to me. We both agreed that Jillian made the approach to living a healthy life so simple and attainable. Basically--eat less, move more. You should be eating more whole foods and less processed food, because we all know that processed food contains a bunch of junk that is contributing to obesity and disease. I felt motivated and inspired by everything Jillian said. I have been thinking about many things she discussed and trying my best to put them into practice. In usual Jillian fashion, she broke down things like BMR for us. I checked mine out online today and it is 100 calories higher than Jillian's recommended calorie intake, as I weigh more than her. These are some circuits she recommends and I have been integrating them into my workouts this week. Danni, the latest "The Biggest Loser" winner, even came out for the show! I had a blast seeing Jillian with Kim on Sunday evening. She spoke for about 2.5 hours and I feel fortunate enough to have seen her in person. Thanks for taking me, Kim! It was an unforgettable experience. On Monday night, Karis, Shelby and I saw Michael Pollan speak at the Oriental Theater in Milwaukee. I really admire his work and it was such an inspirational experience to hear him talk about a subject I am so passionate about. I can't wait to read Cooked and learn more about some of the things he touched on during his talk. We received signed copies of the book with our ticket price. The overall theme seems to be that Americans are facing an obesity crisis because we want our food served quickly and don't take the time to cook in our own kitchens anymore. When we eat out, I check nutritional information on the menus ahead of time and I am shocked at the stats. I often don't order what I originally thought I was going to order because I can't fathom eating 800 plus calories and so many grams of fat in one meal. Did you know that Americans are now spending more time watching food shows than actually cooking in their own kitchens? That fact made me sad. It also may contribute to people feeling more intimidated to cook, because some shows make it look very difficult. In my opinion, people should be watching more "Cooks Country" and "America's Test Kitchen," which I find to be extremely educational vs. reality TV cooking shows. Pollan said that we need to make time for cooking, like we do for working out. This hit home because while I love to cook, I don't spend a lot of time meal planning and actually making more complicated recipes in my own kitchen. I am sure that will change after I read his book! Pollan feels strongly that Home Ec programs need to be in schools for everyone. He also likes the idea of using YouTube as a tool to learn how to cook (I'd add blogs to that suggestion). Basically, if you know someone who isn't a great cook, teach them and help them become healthier as a result. Pollan lives in Berkeley, California and likes to shop at the Monterey Market and the Berkeley Bowl, in addition to his visits to the wonderful Berkeley Farmers' Market. When I lived in Berkeley, I shopped at the Berkeley Bowl and it boasts a massive produce section--probably the largest I have ever seen in my life. Someone asked Mr. Pollan if he had ever been to the Madison Farmers' Market. I was so proud of our Wisconsin cheese industry and particularly Uplands cheese (which I was fortunate enough to visit last summer) when he said that he really enjoyed the Pleasant Ridge cheese he had picked it up at the Madison Farmers' Market. Check out Karis' and Shelby's posts on seeing Mr. Pollan. They did a great job summarizing his talk. And this article from NYTimes entitled, "Making Lunch with Michael Pollan and Michael Moss" is also quite interesting. I've been pretty quiet all week and that is because we are dealing with a death in our family. Our cat Karma died on Monday morning. I've felt pretty numb since it happened. We are trying to focus on how much he made us laugh and smile and what a social, lovable kitty he was. We still have his brother, Tanzi. It's really hard to watch Tanzi clean himself alone and eat at the food bowl all by himself, still making room for Karma. Those are the moments when I break down and can't help but let the tears flow. Karma, you were one special kitty and you are missed every single day. I hope you are in kitty heaven, meowing loudly for food, watching birds and hurdling gates (now it's the gates of heaven instead of the baby gates in our hallway). We'll never forget how much love we had for one little funny kitty. So, readers, please kiss your pets today and appreciate every moment you have with them. I am thankful that Craig and I have definitely done that over the years, especially since we learned that Karma had one lung and would have a shorter life span. 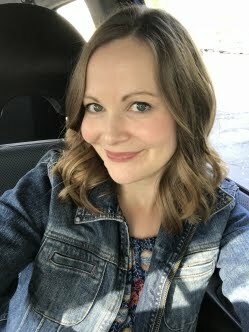 On Saturday morning, I drove to pick up Karis and we took the trip north to Sheboygan and Kohler for a Vegetarian Cooking Class at the Demonstration Kitchen at the Shops at Woodlake Kohler. The kitchen itself was beautiful and seeing all of the colorful vegetables and fruit on the counter made me look forward to cooking with more fresh ingredients now that spring is here. We sat in the front row and had a good view of the Chef cooking. Our teacher was Chef Mark Tennie and his sous chef, Kael Klassen. Both work together at Riverbend, a private club near the American Club resort. Karis and I drove by Riverbend after class and check out how gorgeous it is! Thanks to Karis for this shot from the car. This mansion originally was owned by the Kohler family. Can you imagine living here? The first item we tried was Asparagus Soup. Like everything we had, it was so delicious and fresh tasting. Chef Mark was very gracious with answering the many questions from the class members. Next, we tried a salad on pine nut puree. It's so beautiful that I just had to share another photo. This Polenta Cake was wonderful too! I loved the mushrooms and spinach leek puree on top. Dessert was Banana Beignets, which were so different and the perfect treat to end class with. The Chefs spoke about ramps quite a bit throughout class, so they passed one around at the end. I'd like to forage for them sometime and cook with them this summer. Here's a shot of the classroom! 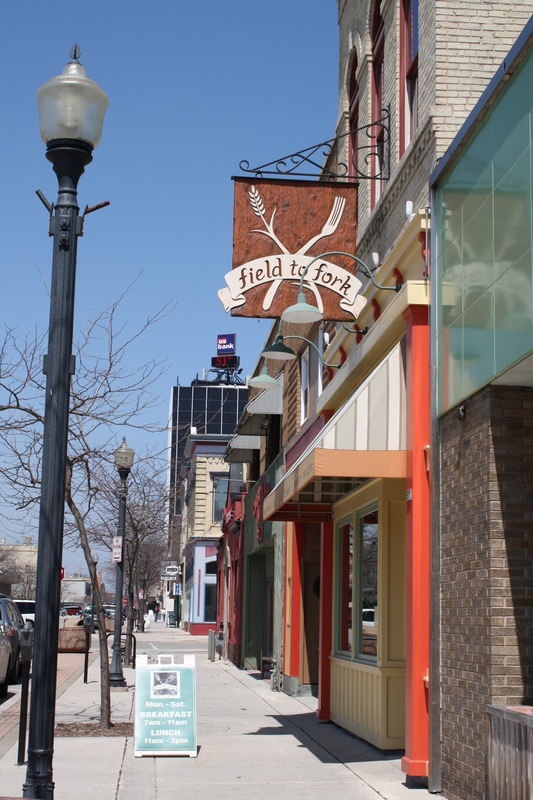 We drove into downtown Sheboygan and checked out Field to Fork. It was my first time visiting the restaurant. Karis had been before, but just to get a juice. This time, she picked up some baked goods and I got a carrot and apple juice. What a fun day spent with a great blog friend! Since meeting Karis, I have definitely taken more cooking classes than I ever imagined I would. 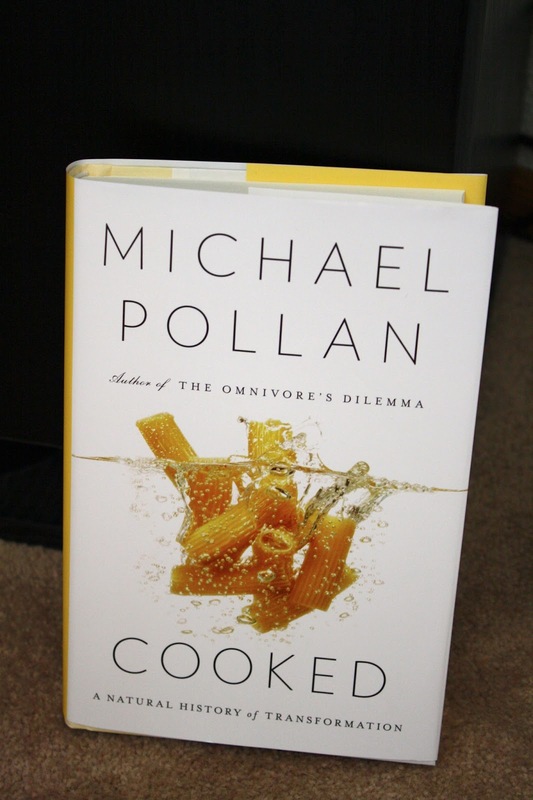 Now I really need to be good about making the recipes I learn in classes, which is a great transition to my next post about seeing Michael Pollan speak about his new book, Cooked.